Rev. Dr. William Barber: Martin Luther King Jr. said America was morally sick. We must heed his diagnosis today. Rev. Dr. William Barber Martin Luther King Jr. said America was morally sick. We must heed his diagnosis today. This year especially, we need to remember the real Dr. King, who challenged America's septic addiction to racism, poverty and militarism. Since the publication of Michael Wolff’s “Fire and Fury,” pundits and politicians have again questioned President Donald Trump’s mental stability, provoking the Twitterer-in-Chief to retort that he is a “stable genius.” I leave mental health diagnoses to healthcare professionals, but as America pauses to remember Dr. Martin Luther King Jr. this weekend, we would do well to heed King’s prophetic diagnosis of our shared moral malady. Indeed, we cannot honor King without addressing the spiritual sickness that produced extremism in statehouses, in the U.S. Congress, and in the present administration. In his final public sermon on the evening of April 3rd, 1968, as a thunderstorm outside the church echoed the turmoil in America’s public life, King said, “The nation is sick. Trouble is in the land. Confusion all around.” This diagnosis was rooted in his assessment that America had never fully repented of her original sin of race-based chattel slavery. After a Civil War tore the nation is two, Reconstruction was an attempt to implement policies that would recognize African Americans as full citizens of the republic and make reparations for the economic injustice of their stolen labor. But Reconstruction’s promise was not fulfilled, and the Redemption movement arose to push back against that progress, not only in the South, but in federal policy as well. By the time King was born, the Supreme Court of the United States had made “separate but equal” the law of the land, codifying racial distinction and its inevitable result — economic inequality. The best way to destroy and distort the legacy and message of a prophet is to reimagine him as popular. This year especially, we need to remember the real Martin King, who found himself challenging a society stricken with a neurotic sickness and septic addiction to racism, poverty and militarism. 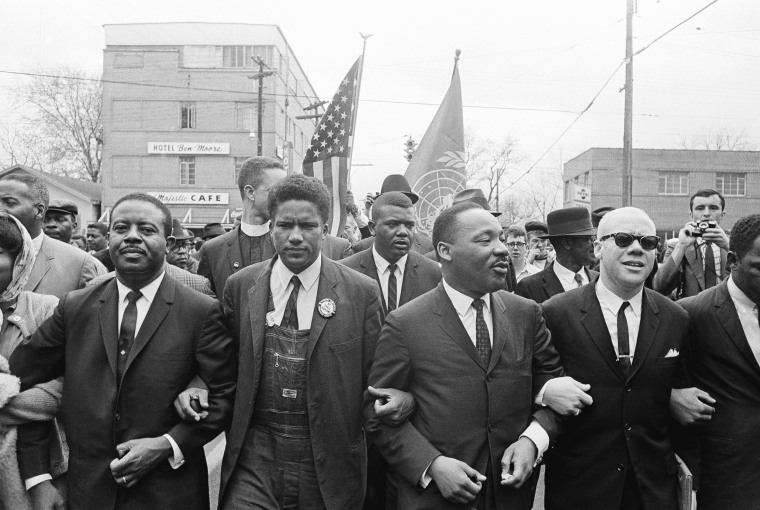 King’s diagnosis allowed him to see how people with nothing to lose still had the moral and spiritual capacity to turn the nation toward love, truth, justice and nonviolence. In the process, he created a blueprint we should be following by continuing the Poor People’s Campaign. King was preaching up until the assassin’s bullet stole his voice from us. When King stood on the national mall August 28th, 1963, to describe the nightmare of Jim Crow and white supremacy, he mourned that “100 years later” America was in deep need of a Second Reconstruction. Systemic racism was inextricably tied to an economic system that kept millions of people in poverty in the richest nation in world. Such domestic realities, King saw more and more clearly, were the flipside of a military industrial complex that demanded resources to kill black and brown people in other parts of the world. In 1967, King joined forces with Native American elders and sharecroppers, welfare rights organizations and farmworker unions, poor white people from Appalachia and gang members from Northern ghettoes to mount a Poor People’s Campaign that would demand a Marshall Plan for America’s poor people — black, white and brown. King knew that divide-and-conquer politics would pit poor people against one another if they ever tried to challenge the status quo. White Christians would say he was focusing on politics rather than “saving souls.” National pundits would scoff at the audacity of a civil rights leader trying to address economic and foreign policy. And, in the last year of his life, even civil rights organizations would renounce his position on the war in Vietnam. King was attacked from all sides before he was killed by the assassin’s bullet. His message was not popular in 1968. But as the prophet Amos said, talk of love and justice that dares to challenge arrogance and greed is never welcomed by the oppressive actors in any system. Any attempt to celebrate and commemorate King without engaging with his prophetic diagnosis and radical prescription undermines his legacy and dismisses the poor people who responded to his call. Jesus condemned the Pharisees who loved the tombs of the prophets but did not heed their call. Whatever Donald Trump’s mental state, around 60 million Americans were willing to entrust our government to him after they heard the extremism of his policy proposals. And a majority in the House and Senate have demonstrated that they are willing to work with him to take healthcare away from millions of Americans, attack immigrants and the LGBTQ community, dismantle public education, pour billions more dollars into a war without end on terror and pass a tax bill that represents the single largest transfer of wealth to America’s elite since the land of Native Americans and the labor of 4 million enslaved Africans were stolen. A vast majority of the American people know something is wrong. The president’s approval ratings are below 40%, inspiring a daily stream of proposals about how we might get out of the mess we are in. We need King’s vision now more than ever; good faith efforts based on a bad diagnosis could ultimately make things worse. Any attempt to celebrate and commemorate King without engaging with his prophetic diagnosis and radical prescription undermines his legacy. Many Republicans have spoken out against the president’s Tweets and antics while continuing to vote for his extreme agenda. They don't object to what he’s saying, just how he says it. Many Democrats, on the other hand, seem to think that Trumpism can be countered by an economic message that doesn’t address the deep connections between our historical inequality and the rise of white supremacy. If King was right, America faces a challenge today more fundamental and more potentially transformative than either party has fully recognized. In 2018, America’s elementary school population represents a future in which white people will be one among many minorities. We must either live up to the promises of our democratic creed or we must abandon the illusion of the American project. We are, in fact, in the birth pains of a third Reconstruction. Though we expect the backlash to be strong, we also recognize the potential power of new fusion coalitions to transform political power in this country. If we address voter suppression and gerrymandering in the South and lift up an agenda that addresses the real needs of poor people, a new America is possible. America needs more than a new president. We need what King called a “moral revolution of values.” If we are willing to receive the diagnosis King offered, then maybe there is a way forward to the America that has never yet been. 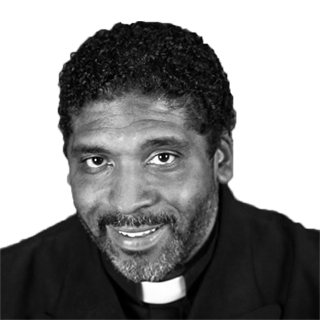 William J. Barber, II is President of Repairers of the Breach and co-chair of the Poor People’s Campaign: A National Call for Moral Revival. He is author, with Jonathan Wilson-Hartgrove, of "The Third Reconstruction" (Beacon Press).